I started a 30-day photography challenge on my Instagram, so I wanted to do a blogging one on here. It’s one of my biggest goals this year to be consistent in blogging (among many other things) and having some help from these challenges really makes it fun and not a big ol’ ball of stress. 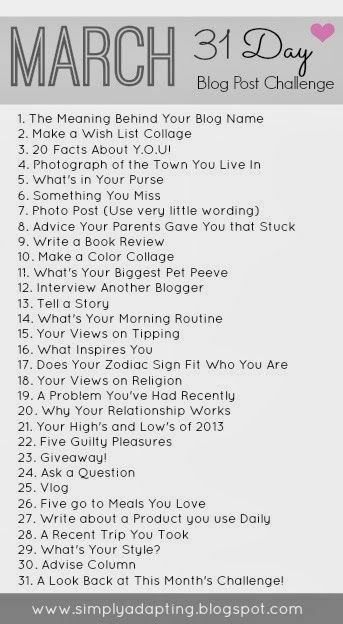 DAY ONE: What is the meaning behind your blog name? It’s extremely simple, but I wanted to start a personal blog where I could post what I enjoyed doing, so I initially used my full name, Jenna Anderson, with the URL being jennadanderson. Well, that took a turn when I sat down to make a logo. Anderson is much too long to pair with Jenna and I couldn’t for the life of me figure out how to make an A and J look good. I had an old logo that I did in college, but just wasn’t feeling it. This is how I brought my middle name in, Diane. It has the same amount of letters as Jenna and it’s pretty! It sounded like a win to me and I got two logos out of it! Here is the challenge I’m doing! Be sure to check it out if you need to get some creative juices pumping! Original credit goes to Brittany, but I found it floating around on Pinterest, of course.